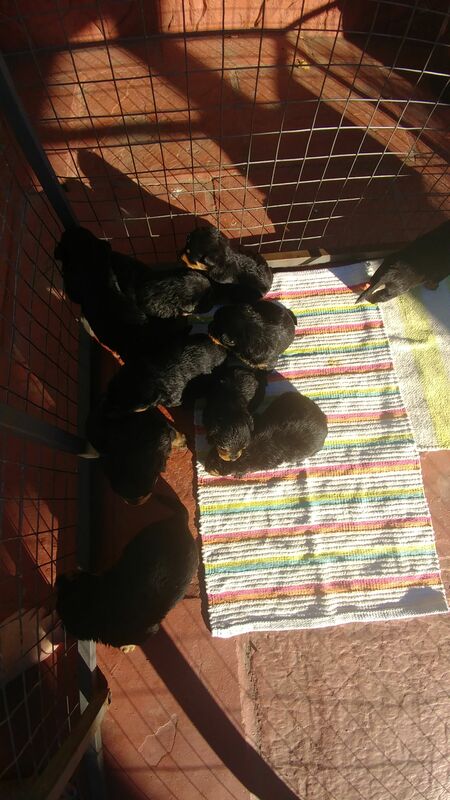 On the 1st of February 2018, our Rottweiler gave birth to beautiful Rottweiler puppies and they will be looking for a new home starting from the 29th of March 2018. They are all loving puppies looking for loving homes. They require lots of love and attention. They will be vaccinated and dewormed before joining their new homes.